In any case, I read The Orphan Master’s Son on the recommendation of my mum. She suggested I’d enjoy it because of its introduction to North Korea. Yeah, stop and ask yourself: what do you know about North Korea? If your answer is “axis of evil” and nothing else, then I can’t urge you strongly enough to pick up this book. While written by an American, the book provides what I think (and granted this is an extremely limited thought given how little I *do* know about North Korea) is a thoughtful introduction to North Korean history and the current political climate in the country. An introduction that covers everything from naming practices, to economic policies, to familial and international relations, to marriage practices and forced labour camps/prisons. This introduction is accomplished by following the chameleon character Commander Ga/Pak Jun Do as he navigates the worlds of North Korean society. His shifting identity – routinely created and recreated – focuses the thematic interest of the novel: what makes us the people we are? The novel makes a case that identity is something as simple as a chosen declaration: you are Commander Ga, or something as complex as the assembled memories of a person, written down in biography and stashed on a forgotten shelf. The questions of how we determine who we are, how others decide who we are, and how we will remember/retain identity in a world of shifting expectations makes this a novel much more complicated that a simple introduction to NK. That said, the novel really only has this one thematic focus and for better or worse (I think for worse) the narrative makes really, really sure that you know that this is the thematic interest. Some passages explicitly calling out: I changed my name and changed my identity. More frustrating is the predictability (to some extent) of plot events given the thematic interest. And while the theme is attacked with some complexity and some nuance, the narrative as a whole lacks a certain depth because it is only (thematically) about identity, and misses opportunities to be asking other kinds of questions. Is this a minor quibble? I’m not sure. 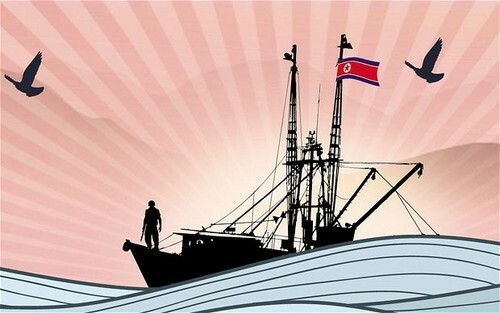 I think so, because on the whole the richness of the setting, the complexity of the narration – switching narrative voices require some dexterity on the part of the reader, but great reward too as the layers of the plot are unpeeled – and the fascinating exploration of North Korea far outweigh any gripes about heavy-handed theme. And it’s not even heavy-handed (all the time) so much as it is overdetermined. Yeah, that’s my beef.